I bet that’s not what you wanted to hear. But don’t worry! I’m not here to break your heart… I’m here to give you some solutions! 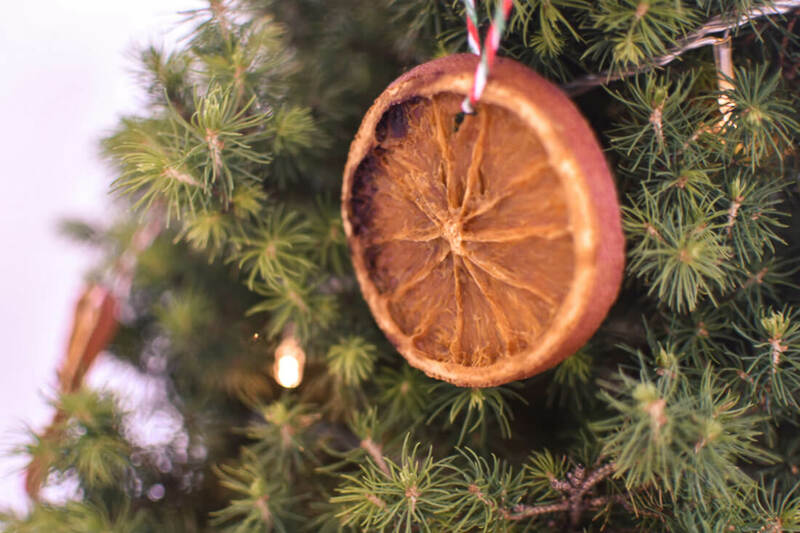 To avoid your Christmas tree from contributing to this extremely wasteful holiday, here are a few ideas that will make it a little more sustainable. There’s a rife old debate about whether the real or fake tree is the most sustainable Christmas alternative… And although both sides of the argument have great points, I think I have the answers – hooray! 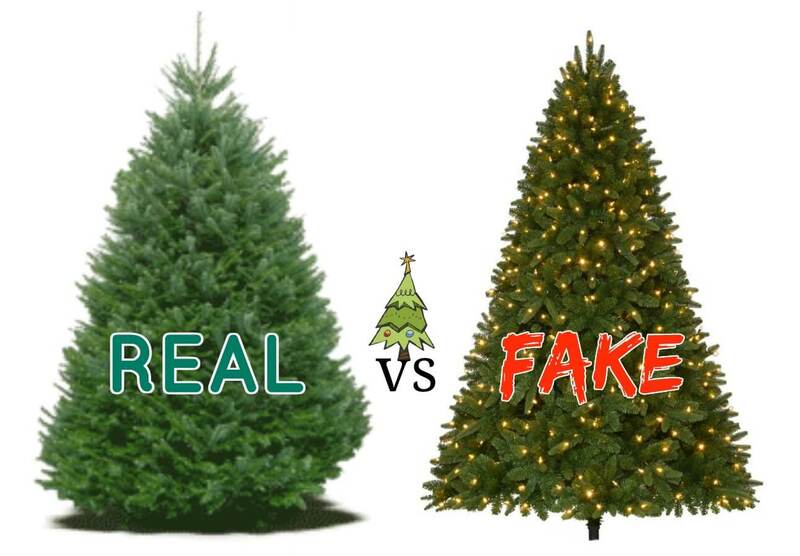 Fake Tree: Fake trees are made of petrochemicals, plastic, metal and sometimes even lead. Around 92% of them are made in China and have to travel a long way before they reach you (meaning a ton of carbon emissions). It’s said that they would need to be kept for over 10 years to be lower in carbon than a real tree. They are also non-recyclable and will end up in landfill at the end of their life where they will remain for centuries to come, releasing emissions as they suffocate. Doesn’t sound too great, does it? Real Tree: Real trees absorb CO2. The farms they grow on stabilize soil and protect water supplies whilst creating a home for wildlife. When one is cut down, 3 are generally grown in its place. They are biodegradable and if disposed of correctly, they can be recycled back into mulch. The problem is, however, that a lot of Christmas trees aren’t disposed of correctly… They are thrown into landfill. So it’s time to say goodbye to all of the CO2 it originally absorbed, it’s now going to come back as methane! Use what you already have. If you have a big houseplant, use that instead! Purchase a native plant that’s local to your area. Get creative and make one out of wood or scrap materials. Use your imagination to think of ideas that don’t create waste! Rent a tree! Yep, there are some organisations around the world where you can rent a tree for the holiday season, and they’ll pick it up after Christmas to re-plant for next year. No waste in sight! Buy a real tree, but dispose of it correctly. Get one from your local farm, cut it down yourself and cherish it for the holidays. When Christmas is over, schedule in a collection (if you have that service in your area), chop it up and put it in your garden waste bin, or take it to be turned into mulch. Doing this is definitely the most sustainable of the traditional methods. But please, don’t just throw it in the tip! That reverses all of the good that real trees do in their lifetime. Get a living tree in a pot! This is my personal fave – Get a living tree in a pot! Keep it inside for Christmas and then put it in your backyard until next year. When it’s too big to move, plant it somewhere where it will grow for the rest of its life. This obviously isn’t possible for everyone due to limited space, but if you have the room to maintain one, it’s a very sustainable alternative. I have one, and his name is “Chris Pine” – get it… Because it’s a CHRIStmas tree and a PINE tree. And he’s pretty cool like the actor too I guess. Before the invention of LED’s, the UK alone could have filled over 15,000 hot air balloons with the CO2 emitted from Christmas lights… That’s not a good sign! But even though LED’s have made that number significantly decrease, they still aren’t totally off the hook. It has been calculated that lighting a small tree with LED’s releases around 2kg of CO2, and when you combine that by the millions of people using them, that’s a lot of emissions. Not to mention that most lights are covered in plastic that cannot be recycled from your home, so due to sheer laziness, most end up in landfill. It’s impossible for me to calculate how many kilometres of Christmas lights there are around the world, but it would have to be in the very high millions… Imagine all of that being buried in the Earth. It makes me want to cry. 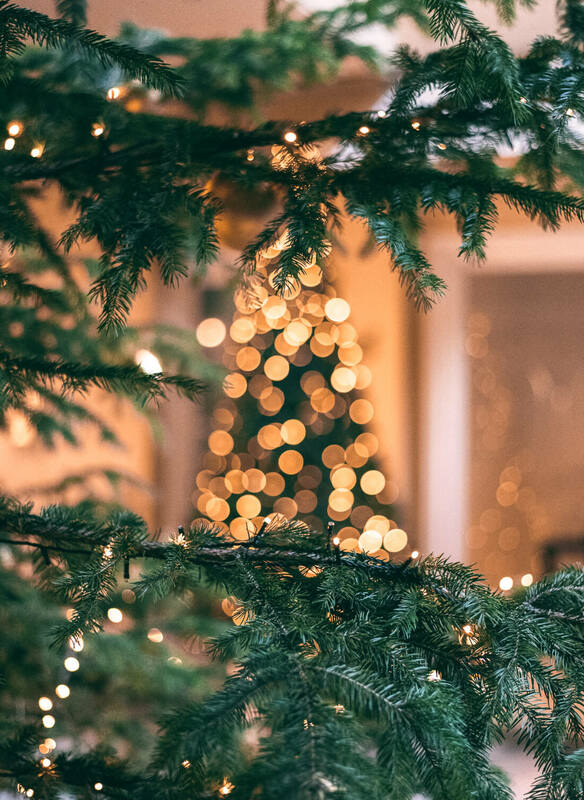 Ditch the lights… Less is definitely more when it comes to lights, so if you really want a zero waste Christmas, ditching them all together is the best option. Get solar powered lights instead! Depending on where you are, you can find solar powered lights on a tiny copper string. No plastic in sight and totally powered by the sun – woohoo! But for the people that don’t have that option, you should be able to find solar powered lights in most Christmassy locations. They might be covered in plastic, but they are a much better alternative. 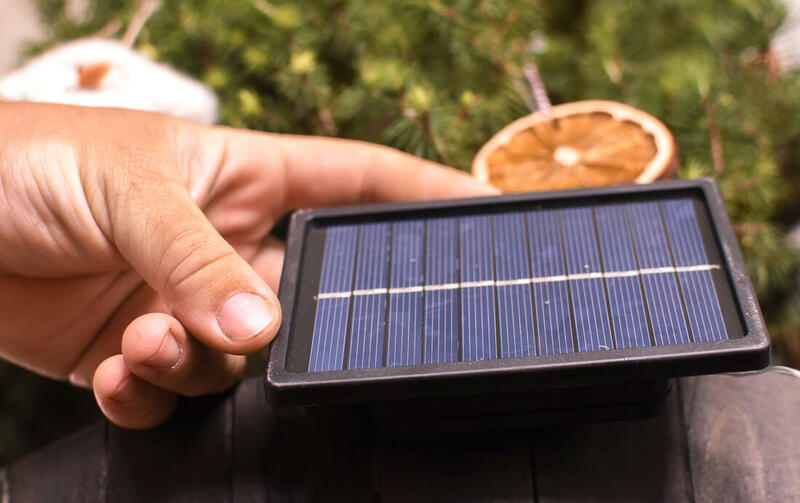 The solar panels are small (about the size of your hand), and all you have to do is put it outside during the day to get some sun, and plug it back in at night to get those lights sparkling away. When they’re no longer working or have outlived their life, make sure you google “recycling Christmas lights” to find your nearest drop off point where they’ll be turned into something new. Christmas decorations are a tricky one; they are the things that make your home feel festive and joyful. But if you think about how many flimsy plastic decorations there are around the world, the waste that comes along with that is hard to comprehend. I would assume that most Christmas trees around the world have 25-100+ ornaments on them. So when you multiply that by the millions of Christmas trees that are sold around the world, that number is huge. I can no longer count how many times I’ve dropped an ornament and smashed it to pieces. Most of them are very low quality, extremely cheaply made (most likely produced under unfair labour standards) and once again, 92% of US decorations are imported from China, at a value of 1.2 BILLION dollars. That’s a lot of emissions. Make your own! You can make them out of wood slices, cinnamon scented salt dough, acorns, pine cones, trash (yes, you heard me) or my personal favourite… Dried fruit! This year I made dried oranges – sliced them up, put them in the oven at 120ºC and baked them for 3-4 hours until totally dry. It’s as simple as putting some string on them and hanging them on the tree. It’s so beautiful and they can be composted at the end of their life too. To make this option even more sustainable, get your fruit from the local farmers market! 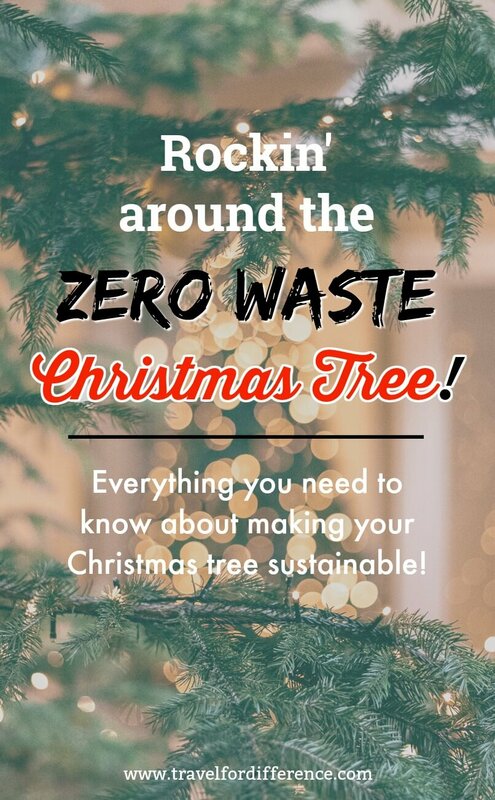 Zero waste Christmas tree goals. Another great idea is to buy fairtrade felt ornaments. They are eco-conscious, handmade and also super cute. Plus when purchased through Biome, the environmental impact of shipping is carbon offset too. It’s a win-win! 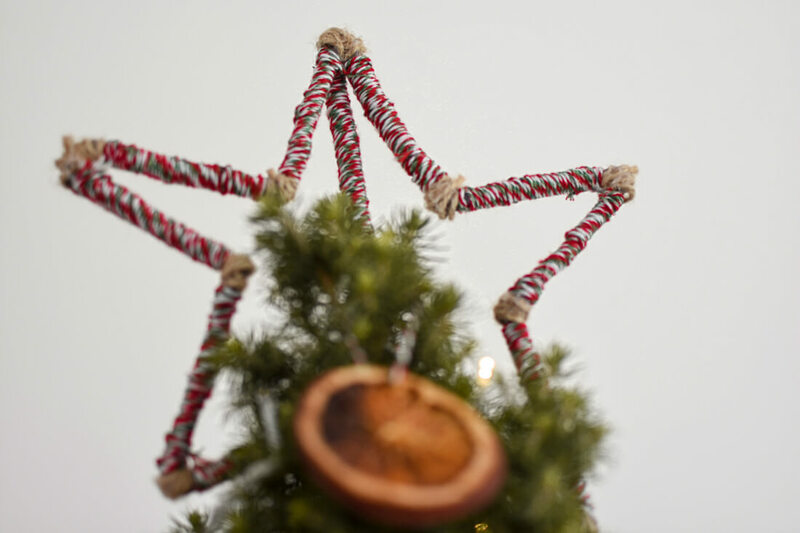 Instead of cheap tinsel that sheds and leaves tiny pieces of plastic all across the globe, you can make some garland out of dried fruit, or popcorn and cranberries! It’s as easy as using a needle to thread your items onto the string, and hanging them around your tree. Simple, beautiful and makes a delicious snack too. There are a million + 1 different ideas to make your own tree topper and avoid the plastic + emissions. For me personally, I made one out of sticks! I gathered some small twigs from around my house, glued them together with a hot glue gun, and wrapped it in some string that I had in my house. You could leave it plain if you like the rustic look, or you could even paint it! The list is literally endless. Get creative and make something out of items you might already have! 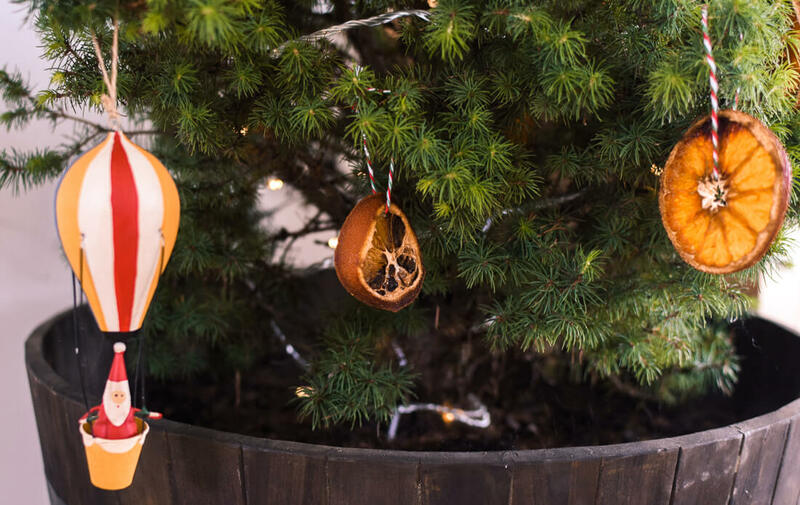 Not necessarily going on your tree, but important nonetheless! You could make a wreath out of floral items, eucalyptus (if you’re an Aussie like me), rosemary/other herbs, pine cones, tree clippings, newspaper… Whatever your heart desires! All you have to do is glue them together with a hot glue gun, use some wire and twigs, and hang it straight on your door. The best thing about it is that these ideas are compostable at the end of their life too! So there you have it! The most important thing to remember is that if you already have a fake Christmas tree, traditional plastic ornaments or anything mentioned above… Please use it! Do not just throw it away because there are better alternatives… That’s the opposite of sustainability! 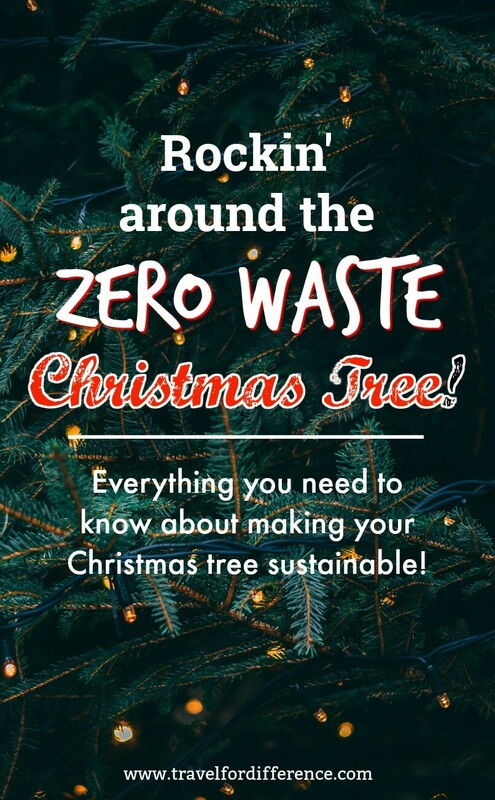 What other ideas do you have to create a zero waste Christmas tree? All tips and ideas are welcome!